Key Difference: The term ‘All Natural’ is used to imply foods that are minimally processed and do not contain ingredients such as hormones, antibiotics, sweeteners, food colors, or flavorings that were not originally in the food. On the other hand, organic foods are foods that are produced using methods that do not involve modern synthetic inputs such as synthetic pesticides and chemical fertilizers. They are also not processed using irradiation, industrial solvents, or chemical food additives. With the sudden shift towards a healthier lifestyle, people are making their lives more active and introducing themselves to more healthy foods. Two types of healthy foods are considered to be foods that are labeled, All Natural and Organic. These two terms are completely different in regards to health factor, and regulations. More often, all natural labels are nothing more than a marketing stunt. All Natural Foods are these days everywhere, almost every packing has some sort of all natural written on it. Ideally, the term ‘All Natural’ is supposed to be used to imply foods that are minimally processed and do not contain ingredients such as hormones, antibiotics, sweeteners, food colors, or flavorings that were not originally in the food. These days, the term is used vaguely as a marketing stunt to target people looking for healthy foods. This standard of food labeling is not regulated by any government body and allows the manufacturers and producers to do their own labeling. Due to the lack of jurisdiction and regulations, the term does not mean much in today’s marketing oriented world. However, in some places such as Israel, the term is regulated by government under the Labelling of Prepacked Food Standard (Israeli Standard SI 1145). Under the standard, 33 processes are allowed in natural ingredients all of which are physical treatments and not chemical modifications. Even, the International Food and Agriculture Organization’s Codex Alimentarius does not recognize the term ‘natural’. 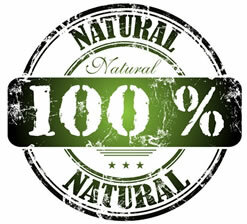 Since almost all foods are derived from natural products such as plants or animals, manufacturers use this excuse to label the products as ‘natural’. Similarly, since almost all foods are processed in some way, either mechanically, chemically, or by temperature, it is difficult to define which types of food processing are ‘natural’. On the other hand, organic foods are foods that are produced using methods that do not involve modern synthetic inputs such as synthetic pesticides and chemical fertilizers. They are also not processed using irradiation, industrial solvents, or chemical food additives. The term ‘organic’ became popular during the 1940s during the Green Revolution. Unlike ‘natural foods’, in almost all countries, organic food labeling is regulated by the government. 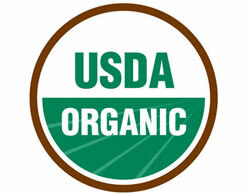 Countries such as the United States, United Kingdom, China, etc require organic food producers to obtain a special certification in order to market their food as organic. Organic food is food produced in a way that complies with organic standards set by national governments and international organizations. Organic production is also used to foster cycling of resources, promote ecological balance, and conserve biodiversity. In regards to organic livestock, the animals are expected reared with regular access to pasture and without being fed stimulants, antibiotics or growth hormones. According to regulations in many countries, in order to label a food as organic, the food needs to be at least 95% organic. The percentages differ according to countries. Organic foods are growing in popularity due to them being healthy and having more nutrients. However, a drawback of organic foods is that it is not available everywhere; only in special organic markets.